A change in tax returns is especially devastating to low-income people who rely on tax refunds as their biggest cash infusion of the year. According to a survey from GoBankingRates, 27% of participants use their tax refund to pay off debt and 9% put their refund towards a savings account. As people around the country are taking a hard look at their finances, let’s look at the policy behind the tax “surprise” and the impact it’s had on low-and-middle-class Americans. This is your News Roundup on this year’s tax refunds. Thanks to the Tax Cuts and Jobs Act (TCJA), many people who’ve experienced no change in their income now see a change in their tax refund. However, there’s a reason why Yahoo! Finance puts the term “tax scam” in quotes: some taxpayers may not have realized that TCJA changed the withholding amounts on their paychecks. This means people were getting a bigger paycheck which could have affected their refund status. Most people may not have noticed the slight increase in their paycheck, but are now paying for the oversight. Now, families who were expecting a cushion from this year’s tax refund are now scrambling to find a way to pay off their new-found debt. 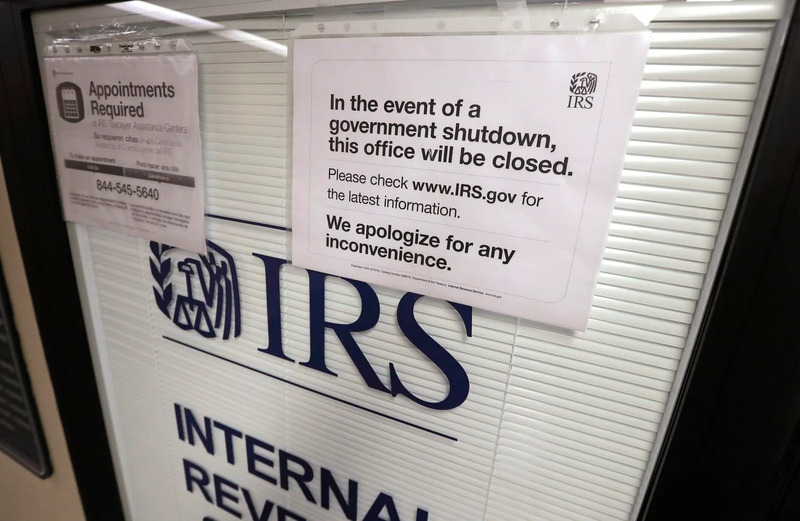 The government shutdown got a lot of people nervous about tax season, but for low-income people, they have to deal with inefficiencies of the IRS regularly. For the tens of millions of people who don’t have internet access, only four out of ten taxpayers successfully reached a live assistant over the phone. Additionally, for the 108 million low-income people who are eligible for free in-person tax prep, only 3% of them successfully had their taxes through these programs. There’s a lot of talk about what taxes get returned to you, but what about the taxes that go to Washington? PBS Digital Studio’s Two Cents breaks down federal taxes down to the nickels and pennies. Tax returns has some people stunned and others wanting to educate, but we can always count on twitter to provide some comic relief, as well. Pays $10k in taxes throughout the year. Gets a tax refund of $3k. Pays $8k in taxes throughout the year. Gets a tax refund of $2k. Look at total taxes paid. WOW. Got my tax refund TODAY! Guess what I splurged on!?!?!? !